NEAMIN ASHENAFI, Reporter, Addis Ababa (HAN) – The Ethiopian Peoples’ Revolutionary Democratic Front (EPRDF), elected Muktar Kedir as its next president, previously the deputy chairperson of the party. The party also elected Aster Mamo as deputy chairperson; Aster was previously head of the Central Committee Office. After its former president Alemayehu Atomsa resigned due to health conditions on Monday February 17, the post had been vacant. Muktar had been working as an Administrator of the Jimma Zone from 1999 to 2003, one of the ten zones of the Oromia Regional State. He was also secretary general of the regional government for months in between his other jobs in Jimma and his job as Vice President of the region. He then became the region’s vice president before moving to the party. Muktar Kedir has also served as head of the Office of the Prime Minister and Cabinet Affairs with a ministerial portfolio. He is now Minister of Civil Service and Deputy Prime Minister of the Good Governance and Reform cluster. He earned his first degree in Law from the Civil Service College and his second degree in International Leadership from Azusa Pacific University in California in August of 2008. OPDO was founded on March 26, 1990 in North Shoa, in the Dera District at Gundomeskele. 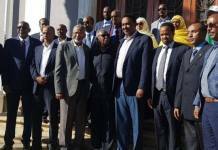 Not more than 37 members of OPDO facilitate the establishment of the OPDO. 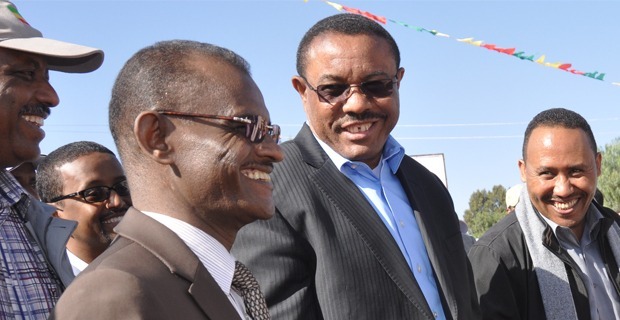 It took more than seven months to establish OPDO, the foundational congress held in liberated area of Tigray in the Adet woreda. After its establishment, OPDO joined EPRDF forces.